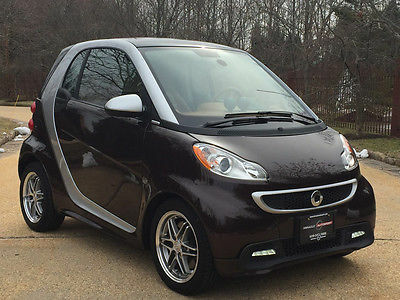 THIS IS A PRACTICALLY NEW 2015 SMART CAR FOR TWO PURE. IT ONLY HAS 95 MILES. 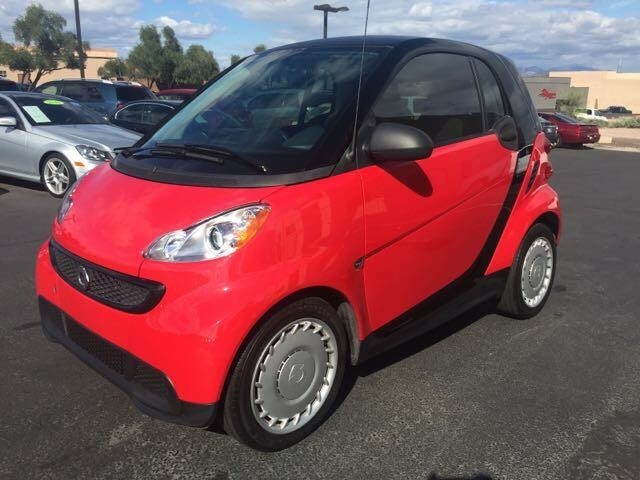 THIS SMARTY HAS AN AUTOMATIC TRANSMISSION WITH A VERY FUEL EFFICIENT ENGINE. IT COMES EQUIPPED WITH BLACK LEATHER HEATED SEATS, NAVIGATION, AND A NICE BLUE TOOTH SOUND SYSTEM. THE REMAINDER OF THE FACTORY WARRANTY WILL TRANSFER WITH THE CAR. WE BOUGHT A FLEET OF THESE AND ONLY HAVE A FEW LEFT. MOST ARE BEING SOLD BEFORE THE AUCTIONS ENDS OR LOCALLY. SO PLEASE GIVE US A CALL OR EMAIL IF YOU WOULD LIKE MORE INFO. 417-343-9993. 901PASSPORT@GMAIL.COM. THIS IS BEING SOLD BY PASSPORT INVESTMENTS. WE ARE A WHOLESALE AUTOMOBILE AND BOAT DEALER IN BEAUTIFUL SPRINGFIELD, MO. WE TRY AND DESCRIBE ALL VEHICLES THE BEST WE CAN. PLEASE EXPECT THE USUAL WEAR FOR THE YEAR AND MILES. PLEASE HAVE ALL QUESTIONS AND FINANCIAL ARRANGEMENTS FINALIZED BEFORE BIDDING. 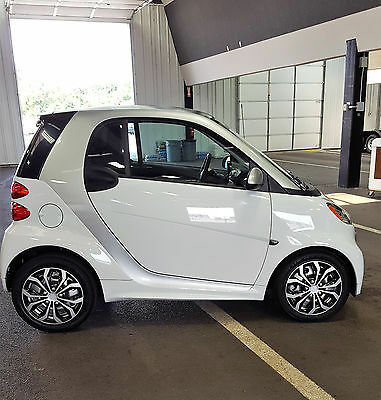 +1 (201) 479 2961 All-electric Smart ForTwo, being relatively cheap for an EV and providing its owner with all Smart-only features and advantages. It won't need much complex maintenance, being very handy in a big city - just as any other Smart. Range: 84 miles (135 km) Battery capacity: 16.5 kWh 0-60 mph: 9.8 sec Top speed: 62 mph (100 km/h) Power: 40 hp Torque: 120 Nm Charging time: 1 h (380V) Additional information: Abs - 4-Wheel, Air Filtration, Airbag Deactivation - Occupant Sensing Passenger, Antenna Type - Mast, Anti-Theft System - Engine Immobilizer, Armrests - Drivers Seat, Auxiliary Audio Input - Usb, Body Side Reinforcements - Side Impact Door Beams, Child Seat Anchors, Child Seat Anchors - Latch System, Clock, Cornering Brake Control, Crumple Zones - Front, Crumple Zones - Rear, Cupholders - Front, Daytime Running Lights, Driver Seat Manual Adjustments, Electric Charge Cord - 120 Volt, Electric Motor Battery Type - Lithium Ion, Electric Motor Charging Time - 6 Hours, Electric Motor Hp - 74, Electric Motor Miles Per Charge - 68, Electric Motor Power Output (Kilowatts) - 35, Electric Motor Torque - 96, Electronic Brakeforce Distribution, Emergency Locking Retractors - Front, Energy Absorbing Steering Column, External Temperature Display, Footwell Lights, Front Air Conditioning - Automatic Climate Control, Front Air Conditioning Zones - Single, Front Airbags - Dual, Front Brake Diameter - 11.0, Front Brake Type - Disc, Front Bumper Color - Body-Color, Front Fog Lights, Front Headrests - 2, Front Headrests - Integrated, Front Seat Type - Bucket, Front Seatbelts - 3-Point, Front Shock Type - Gas, Front Spring Type - Coil, Front Struts - Macpherson, Front Suspension Classification - Independent, Front Suspension Type - Lower Control Arms, Front Wipers - Rain Sensing, Front Wipers - Speed Sensitive, Front Wipers - Variable Intermittent, Grille Color - Black, Headlights - Auto On, Headlights - Halogen, Hill Holder Control, Impact Sensor - Door Unlock, Impact Sensor - Post-Collision Safety System, Knee Airbags - Dual Front, Liftgate Window - Manual Flip-Up, Moonroof / Sunroof - Panoramic, Moonroof / Sunroof - Solar Panel, Multi-Function Display, Multi-Function Remote - Keyless Entry, Multi-Function Remote - Panic Alarm, Multi-Function Remote - Trunk Release, One-Touch Windows - 1, Passenger Seat Folding - Folds Flat, Passenger Seat Manual Adjustments, Passenger Seat Manual Adjustments - Lumbar, Power Door Locks, Power Door Locks - Auto-Locking, Power Outlet(S) - 12v, Power Steering, Power Windows, Radio - Am/Fm, Reading Lights - Front, Rear Brake Diameter - 8.0, Rear Brake Type - Drum, Rear Bumper Color - Body-Color, Rear Door Type - Liftgate, Rear Shock Type - Gas, Rear Spring Type - Coil, Rear Suspension Classification - Semi-Independent, Rear Suspension Type - De Dion Tube, Regenerative Braking System, Seatbelt Force Limiters - Front, Seatbelt Pretensioners - Front, Seatbelt Warning Sensor - Front, Shift Knob Trim - Leather, Side Airbags - Front, Side Curtain Airbags - Front, Side Mirror Adjustments - Power, Side Mirrors - Heated, Spare Tire Kit - Inflator Kit, Stability Control - Electronic, Starter Type - Motor/Generator, Steering Wheel Trim - Leather, Storage - Door Pockets, Storage - In Dash, Sun Visors, Tire Pressure Monitoring System, Tire Type - All Season, Total Speakers - 2, Traction Control, Trip Odometer, Upholstery - Cloth, Vanity Mirrors - Passenger, Warnings And Reminders - Maintenance Reminder, Warnings And Reminders - Tire Fill Alert, Wheel Spokes - 12, Wheels - Alloy, Window Trim - Black Disclaimer: Information deemed reliable, but not guaranteed. Interested parties should confirm all data before relying on it to make a purchase decision. All prices and specifications are subject to change without notice. Prices may do no include government fees and state taxes, title and registration fees, financial institution charges, emission testing and compliance charges. Internet special advertised price may not be compatible with dealer sponsored or subsidized subprime financing. 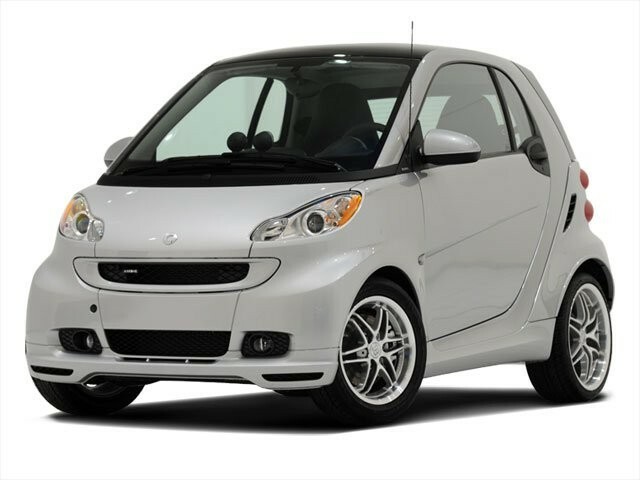 2014 Smart fortwo electric drive passion 2014 Smart FORTWO Electric Drive Passion Coupe 2 to Choose From! Only $7,900! Devin (620) 664-3011 ? ? ? 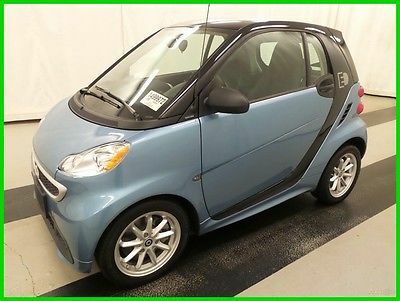 2014 smart fortwo electric drive passion Vehicle Information VIN: WMEEJ9AA4EK791001 Stock: R4989 Mileage: 17,529 Color: Light Blue Metallic Trans: Automatic Engine: Electric MPG: 122 City / 93 Highway Drivetrain: RWD ? ? ? ? 1 of 12 ? View Large Images ? ? 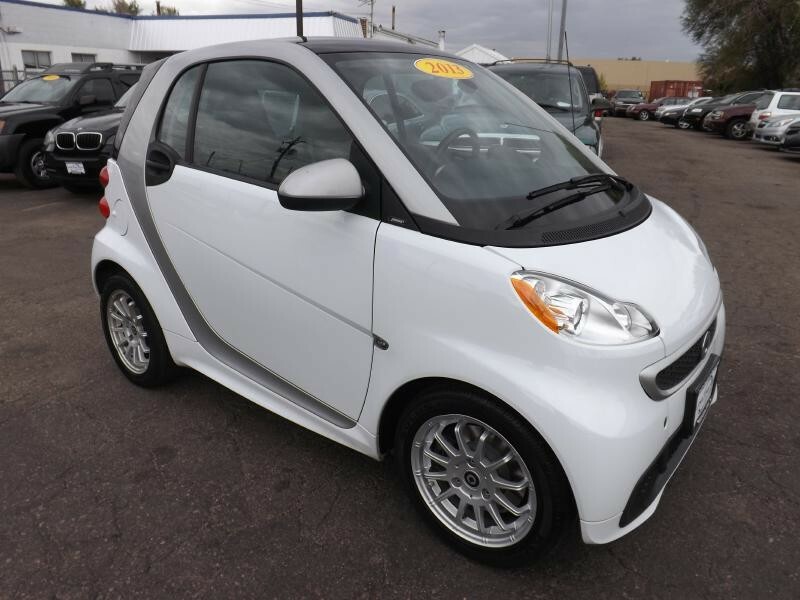 Description We have just bought this awesome 2014 Smart FORTWO Electric Drive Passion Coupe! Perfect car for school and commuting, these Smart Cars are fully electric with an in-city range of 80 miles! Environmentally conscious people will appreciate the lack of carbon footprint this vehicle creates. 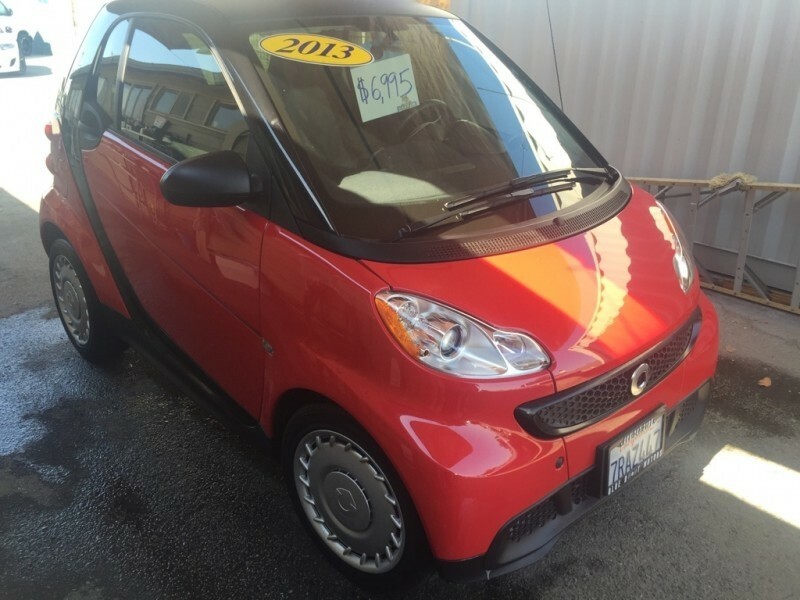 We have 2 of these Smart Cars in stock. 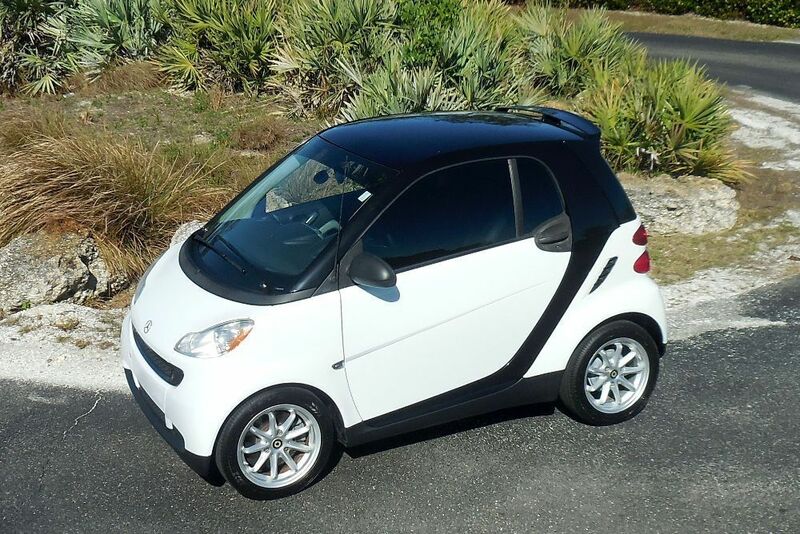 These Smart Cars are priced from an awesome $7,900! These awesome cars are priced to sell quickly, so don't wait, contact us today! Any questions, call or text Devin at 620-664-3011 or John at 316-249-6005 Options and Standard Features Options ? 0 Liter Cylinder Engine ? 2 Doors ? 4-Wheel Abs Brakes ? 74 Hp Horsepower ? Air Conditioning With Climate Control ? Automatic Transmission ? Clock - In-Dash ? Daytime Running Lights ? Dusk Sensing Headlights ? External Temperature Display ? Front Seat Type - Bucket ? Fuel Economy Epa Highway (Mpg) ? Head Airbags - Curtain 1St Row ? Interior Air Filtration ? Intermittent Window Wipers ? Knee Airbags - Driver And Passenger ? Multi-Function Remote - Windows ? Passenger Airbag ? Power Heated Mirrors ? Power Steering ? Power Windows With 2 One-Touch ? Privacy/Tinted Glass ? Rain Sensing Window Wipers ? Rear Defogger ? Rear Wiper ? Rear-Wheel Drive ? Remote Power Door Locks ? Remote Window Operation - Rear Window Only ? Speed Sensitive Window Wipers ? Stability Control ? Sunroof - Glass ? Traction Control - Abs And Driveline ? Transmission Hill Holder ? Trip Computer Basic Information Stock Number: R4989 VIN Number: WMEEJ9AA4EK791001 Style Name: Coupe Passion Make: Smart Model: Fortwo Electric Drive Model Year: 2014 Vehicle Type: Coupe Vehicle Trim: Passion Exterior Color: Blue Body Type: Coupe Engine MPG Automatic City: 122 MPG Automatic Highway: 93 Engine Description: Electric Fuel Type: Electric Fuel Induction Aspiration: Normal DriveTrain Driven Wheels: Rear-Wheel Transmission: Automatic Wheels Rims: Painted Aluminum Drive Train Type: RWD Suspension Independent Suspension: Front Stabilizer Bar: Front Instrumentation Clock External Temp Trip Computer Roof and Glass Front Wipers: Intermittent Privacy Glass: Light Rear Defogger Rear Wiper: Fixed Interval Sunroof: Glass In Car Entertainment Antenna Type: Fixed Audio System: AM/FM Stereo Speakers: 2 Seats Seating Capacity: 2 Front Seat Type: Bucket Upholstery: Cloth Convenience Center Console: Partial Cupholders: Front Door Pockets: Driver And Passenger Power Outlets Steering Power: Electric Power Steering Power Mirrors: Power Remote Power Door Locks Windows: Power Windows Comfort Air Conditioning: Automatic Air Filtration: Interior Air Filtration Center Console Trim: Metal-Look Dash Trim: Metal-Look Door Trim: Metal-Look Mats: Carpet Front Shift Knob: Leather Steering Wheel Trim: Leather/Metal-Look Vanity Mirrors: Passenger Vanity Mirrors Features Bumpers: Body-Colored Door Reinforcement: Side-Impact Door Beam Safety NHTSA Passenger Grade: Good NHTSA Driver Grade: Good NHTSA Side Impact Front Grade: Excellent Turning Circle: 28.8 ABS: 4-Wheel Head Airbags: Curtain 1St Row Brake Assist: Braking Assist Daytime Running Light Engine Immobilizer Headlights Dusksensor: Dusk Sensing Front Headrests: Fixed Safety Stability Control Driver And Passenger Airbag Side Airbag Stability Control Door Reinforcement: Side-Impact Door Beam Towing and Hauling Tie Downs: Cargo Tie Downs Doors Liftgate Window: Flip-Up Rear Door Type: Tailgate Dimensions Front Head Room: 39.7 Inches Front Hip Room: 45.4 Inches Front Shoulder Room: 48.0 Inches Front Leg Room: 41.2 Inches Luggage Capacity: 8 Cu.Ft. Length: 106.1 Inches Width: 61.4 Inches Height: 60.7 Inches Wheelbase: 73.5 Inches Ground Clearance: 5.2 Inches Max Gross Vehicle Weight: 2,535 Lbs. Curb Weight: 2,094 Lbs. About Me Contact Ask for:Devin Contact: ?Contact Us Call or Text:(620) 664-3011 ?Contact Us Message Terms Placing a Bid: Your bid constitutes a legally binding contract to purchase this vehicle. Please do not bid if you're not seriously interested or financially able to purchase this vehicle. Please read eBay's User AgreementMidway Motors reserves the right to, Obtain and verify the registered information of all users who bid on this auction. Cancel any and all bids at our discretion, or end the auction early if necessary.Bidders Age: You must be 18 years of age or older to Bid. Admin Fee... Midway Motors does have a $199.00 admin fee that is on every car deal.Funds & Financing: For help in arranging for a Pre-Approved loan or for any questions please e-mail or phone Devin at (620) 664-3011 prior to bidding. Buyers Inspection: Midway Motors has done our best to disclose all information known about this vehicle for auction. Midway Motors welcomes a buyers inspection. If you plan to have a buyers inspection, please make sure you inspect the vehicle prior to the auction ending. Inspection fees if any are Buyers responsibility. Representations and Warranties made by seller: This vehicle is being sold "as is". Manufacturer's warranties may still apply. Extended warranty may be available, e-mail or phone Devin at (620) 664-3011 for details. No representations or warranties are made by seller, nor are any representations or warranties relied upon by bidders in making bids. Taxes and Registration fees: Out of state buyers are responsible for all state, county, city taxes and fees, as well as title service fees in the state that the vehicle will be registered. All taxes and fees must be paid in full in order for vehicle to be titled and registered. Title Information: Vehicles titles may be held by banks or lenders as collateral for loans. In many cases there is a delay in receiving the original instruments up to 21 days from the time we pay a vehicle off. While we usually have all titles in our possession at closing, there are occasions where we may be waiting for them to arrive. If payment is made by cashier's or personal checks we will hold all titles for 10 days or until funds have cleared. Shipping & Delivery: All shipping charges are buyer's responsibility. Midway Motors will help with shipping arrangements but will not be responsible in any way for claims arising from shipping damage!Licensed Carriers are generally insured for $3,000,000.00. We assume no responsibility for damages incurred after the vehicle leaves our showroom. All shipping arrangements are provided by Midway Motors as a courtesy. We are not affiliated with any carrier. Any claims or other communication regarding shipment of vehicles will be between you and the shipper, not with Midway Motors. The amount of time it takes for delivery is dependent on the carrier, but is generally 7-14 days from the date the vehicle is picked up from our facility until it is delivered to your destination. Verify with the shipper for an Estimate Time of Arrival to be sure. Finalizing your Purchase: Midway Motors will contact the successful high bidder by e-mail after the auction closes. Successful high bidder MUST communicate with Devin at Midway Motors by e-mail or phone (620) 664-3011 within 24 hours of the auction ending to make arrangements to complete their transaction. If we cannot confirm your intention to buy or the sale is not completed within 5 days, we reserve the right to relist this vehicle or sell to any other qualified buyer. In order to secure bid on vehicle, Successful bidder (BUYER) must within 24 hours of bid closing send to Seller a Deposit in the amount of $500 by major credit card, cash in person or bank certified funds. Within 24 hours of bid closing, Buyer must send balance of funds by cash in person or bank certified funds to Seller. At time of sending initial deposit, Buyer MUST fax copy of their State issued valid Driver License. Furthermore, before said vehicle is released for shipment to Buyer, all other Sale related and title related paperwork must be signed and returned complete to Seller. Copyright © 2017 Auction123 - All rights reserved. - Disclaimer +- Auction123 (a service and listing/software company) and the Seller has done his/her best to disclose the equipment/condition of this vehicle/purchase. However, Auction123 disclaims any warranty as to the accuracy or to the working condition of the vehicle/equipment listed. The purchaser or prospective purchaser should verify with the Seller the accuracy of all the information listed within this ad. Selling a Vehicle? Create Professional Listings Fast and Easy. Click Here! 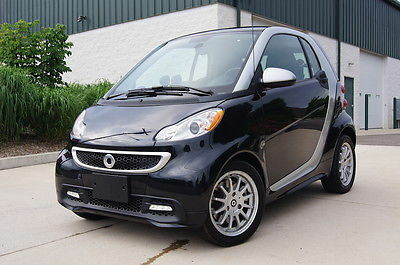 2013 Smart fortwo electric drive passion 2013 Smart FORTWO Electric Drive Passion Coupe 2 to Choose From! Only $6,688! Devin (620) 664-3011 ? ? ? 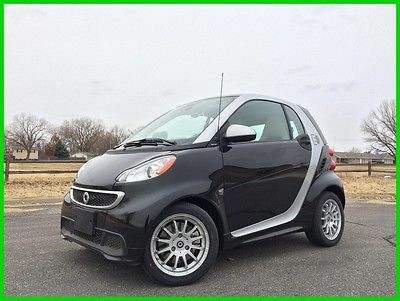 2013 smart fortwo electric drive passion Vehicle Information VIN: WMEEJ9AA3DK673634 Stock: R5043 Mileage: 12,585 Color: Deep Black Trans: Automatic 1-Speed Engine: Electric MPG: 122 City / 93 Highway Drivetrain: RWD ? ? ? ? 1 of 19 ? View Large Images ? ? 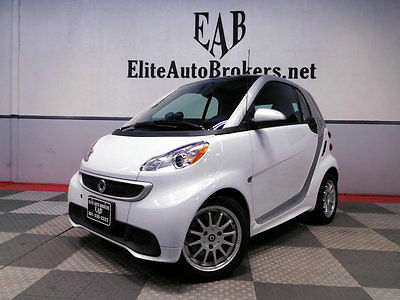 Description We have just bought this awesome 2013 Smart FORTWO Electric Drive Passion Coupe! 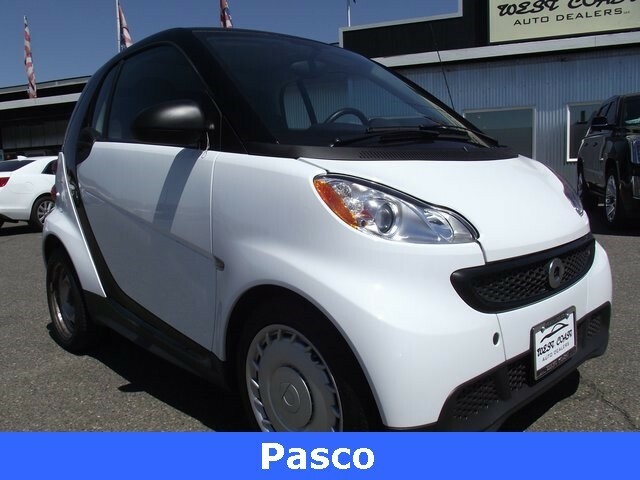 Perfect car for school and commuting, these Smart Cars are fully electric with an in-city range of 80 miles! Environmentally conscious people will appreciate the lack of carbon footprint this vehicle creates. 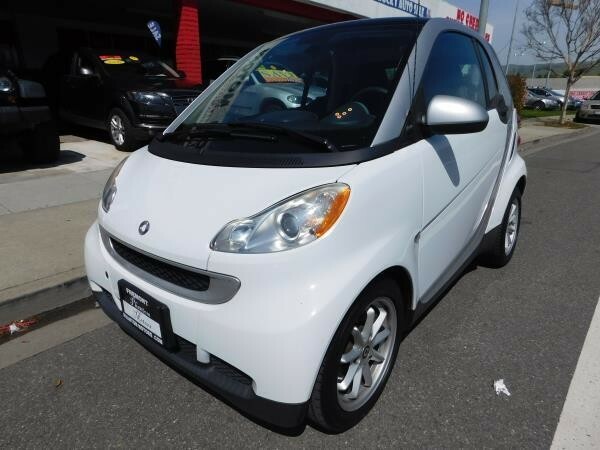 We have 2 of these Smart Cars in stock. 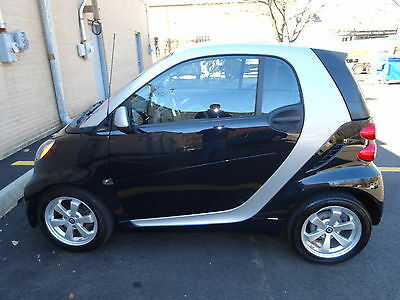 These Smart Cars are priced from an awesome $6,688! These awesome cars are priced to sell quickly, so don't wait, contact us today! Any questions, call or text Devin at 620-664-3011 or John at 316-249-6005 Options and Standard Features Options ? 0 Liter Cylinder Engine ? 2 Doors ? 4-Wheel Abs Brakes ? 74 Hp Horsepower ? Air Conditioning With Climate Control ? Automatic Transmission ? Clock - In-Dash ? Daytime Running Lights ? Dusk Sensing Headlights ? External Temperature Display ? Front Seat Type - Bucket ? Fuel Economy Epa Highway (Mpg) ? Head Airbags - Curtain 1St Row ? Interior Air Filtration ? Intermittent Window Wipers ? Knee Airbags - Driver And Passenger ? Multi-Function Remote - Windows ? Passenger Airbag ? Power Heated Mirrors ? Power Steering ? Power Windows With 2 One-Touch ? 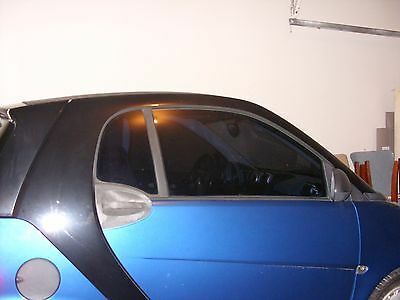 Privacy/Tinted Glass ? Rain Sensing Window Wipers ? Rear Defogger ? Rear Wiper ? Rear-Wheel Drive ? Remote Power Door Locks ? Remote Window Operation - Rear Window Only ? Speed Sensitive Window Wipers ? Stability Control ? Sunroof - Glass ? Traction Control - Abs And Driveline ? Transmission Hill Holder ? Trip Computer Basic Information Stock Number: R5043 VIN Number: WMEEJ9AA3DK673634 Style Name: Coupe Passion Make: Smart Model: Fortwo Electric Drive Model Year: 2013 Vehicle Type: Coupe Vehicle Trim: Passion Exterior Color: Black Body Type: Coupe Engine MPG Automatic City: 122 MPG Automatic Highway: 93 Engine Description: Electric Fuel Type: Electric Fuel Induction Aspiration: Normal DriveTrain Driven Wheels: Rear-Wheel Transmission: Automatic 1-Speed Wheels Rims: Painted Aluminum Drive Train Type: RWD Suspension Independent Suspension: Front Stabilizer Bar: Front Instrumentation Clock External Temp Trip Computer Roof and Glass Front Wipers: Intermittent Privacy Glass: Light Rear Defogger Rear Wiper: Fixed Interval Sunroof: Glass In Car Entertainment Antenna Type: Fixed Audio System: AM/FM Stereo Speakers: 2 Seats Seating Capacity: 2 Front Seat Type: Bucket Upholstery: Cloth Convenience Center Console: Partial Cupholders: Front Door Pockets: Driver And Passenger Power Outlets Steering Power: Electric Power Steering Power Mirrors: Power Remote Power Door Locks Windows: Power Windows Comfort Air Conditioning: Automatic Air Filtration: Interior Air Filtration Center Console Trim: Metal-Look Dash Trim: Metal-Look Door Trim: Metal-Look Mats: Carpet Front Shift Knob: Leather Steering Wheel Trim: Leather/Metal-Look Vanity Mirrors: Passenger Vanity Mirrors Features Bumpers: Body-Colored Door Reinforcement: Side-Impact Door Beam Safety Turning Circle: 28.8 ABS: 4-Wheel Head Airbags: Curtain 1St Row Brake Assist: Braking Assist Daytime Running Light Engine Immobilizer Headlights Dusksensor: Dusk Sensing Front Headrests: Fixed Safety Stability Control Driver And Passenger Airbag Side Airbag Stability Control Door Reinforcement: Side-Impact Door Beam Towing and Hauling Tie Downs: Cargo Tie Downs Doors Liftgate Window: Flip-Up Rear Door Type: Tailgate Dimensions Front Head Room: 39.7 Inches Front Hip Room: 45.4 Inches Front Shoulder Room: 48.0 Inches Front Leg Room: 41.2 Inches Luggage Capacity: 8 Cu.Ft. Length: 106.1 Inches Width: 61.4 Inches Height: 60.7 Inches Wheelbase: 73.5 Inches Ground Clearance: 5.2 Inches Max Gross Vehicle Weight: 2,535 Lbs. Curb Weight: 2,094 Lbs. About Me Contact Ask for:Devin Contact: ?Contact Us Call or Text:(620) 664-3011 ?Contact Us Message Terms Placing a Bid: Your bid constitutes a legally binding contract to purchase this vehicle. Please do not bid if you're not seriously interested or financially able to purchase this vehicle. Please read eBay's User AgreementMidway Motors reserves the right to, Obtain and verify the registered information of all users who bid on this auction. Cancel any and all bids at our discretion, or end the auction early if necessary.Bidders Age: You must be 18 years of age or older to Bid. Admin Fee... Midway Motors does have a $199.00 admin fee that is on every car deal.Funds & Financing: For help in arranging for a Pre-Approved loan or for any questions please e-mail or phone Devin at (620) 664-3011 prior to bidding. Buyers Inspection: Midway Motors has done our best to disclose all information known about this vehicle for auction. Midway Motors welcomes a buyers inspection. If you plan to have a buyers inspection, please make sure you inspect the vehicle prior to the auction ending. Inspection fees if any are Buyers responsibility. Representations and Warranties made by seller: This vehicle is being sold "as is". Manufacturer's warranties may still apply. Extended warranty may be available, e-mail or phone Devin at (620) 664-3011 for details. No representations or warranties are made by seller, nor are any representations or warranties relied upon by bidders in making bids. Taxes and Registration fees: Out of state buyers are responsible for all state, county, city taxes and fees, as well as title service fees in the state that the vehicle will be registered. All taxes and fees must be paid in full in order for vehicle to be titled and registered. Title Information: Vehicles titles may be held by banks or lenders as collateral for loans. In many cases there is a delay in receiving the original instruments up to 21 days from the time we pay a vehicle off. While we usually have all titles in our possession at closing, there are occasions where we may be waiting for them to arrive. If payment is made by cashier's or personal checks we will hold all titles for 10 days or until funds have cleared. Shipping & Delivery: All shipping charges are buyer's responsibility. Midway Motors will help with shipping arrangements but will not be responsible in any way for claims arising from shipping damage!Licensed Carriers are generally insured for $3,000,000.00. We assume no responsibility for damages incurred after the vehicle leaves our showroom. All shipping arrangements are provided by Midway Motors as a courtesy. We are not affiliated with any carrier. Any claims or other communication regarding shipment of vehicles will be between you and the shipper, not with Midway Motors. The amount of time it takes for delivery is dependent on the carrier, but is generally 7-14 days from the date the vehicle is picked up from our facility until it is delivered to your destination. Verify with the shipper for an Estimate Time of Arrival to be sure. Finalizing your Purchase: Midway Motors will contact the successful high bidder by e-mail after the auction closes. Successful high bidder MUST communicate with Devin at Midway Motors by e-mail or phone (620) 664-3011 within 24 hours of the auction ending to make arrangements to complete their transaction. If we cannot confirm your intention to buy or the sale is not completed within 5 days, we reserve the right to relist this vehicle or sell to any other qualified buyer. In order to secure bid on vehicle, Successful bidder (BUYER) must within 24 hours of bid closing send to Seller a Deposit in the amount of $500 by major credit card, cash in person or bank certified funds. Within 24 hours of bid closing, Buyer must send balance of funds by cash in person or bank certified funds to Seller. At time of sending initial deposit, Buyer MUST fax copy of their State issued valid Driver License. Furthermore, before said vehicle is released for shipment to Buyer, all other Sale related and title related paperwork must be signed and returned complete to Seller. Copyright © 2017 Auction123 - All rights reserved. - Disclaimer +- Auction123 (a service and listing/software company) and the Seller has done his/her best to disclose the equipment/condition of this vehicle/purchase. However, Auction123 disclaims any warranty as to the accuracy or to the working condition of the vehicle/equipment listed. The purchaser or prospective purchaser should verify with the Seller the accuracy of all the information listed within this ad. Selling a Vehicle? Create Professional Listings Fast and Easy. Click Here!